Red River Paper is a great company in Dallas, TX that supplies very good quality inkjet papers factory direct. For this holiday season, why not pick up one of their inkjet paper or greeting card sample packs. Each pack includes a two sheets of each paper. Red River also offers free ICC color profiles are available for the most popular papers on some printers. 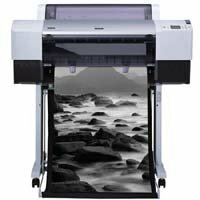 You can find out more information about their inkjet paper kits here. You can order the Greeting Card sample kit here. Update 12/20/2007 – All orders through 12/30/2007 receive a 10% discount.